Meet Jacqueline, our scholar speaker at Athens SMART Party! 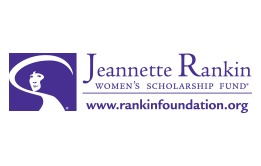 Jacqueline was a Jeannette Rankin Scholar from 2011 until 2013 while she obtained her Associate’s Degree in Early Childhood Care and Education from Atlanta Technical College. Jacqueline had always wanted to be a teacher, but it took until she was 40 years old to be able to reach that goal. Jacqueline's mother had her at 14 years old, and Jacqueline grew up in poverty. After dropping out of college, she began to see the cycle repeating. She woke up one day and decided she wanted to change her situation, she wanted better for herself, and better for her family. During her time as a JRF Scholar, Jacqueline balanced her studies, raising two sons, working several jobs that allowed her to engage her community and develop her skills as a teacher, and volunteering with every possible opportunity she could find that would allow her to have a hand in truly transforming her neighborhood. She graduated in Spring 2013 with her Associate’s Degree in Early Childhood Care and Education, and has since completed several certifications that have allowed her to move forward in her career. 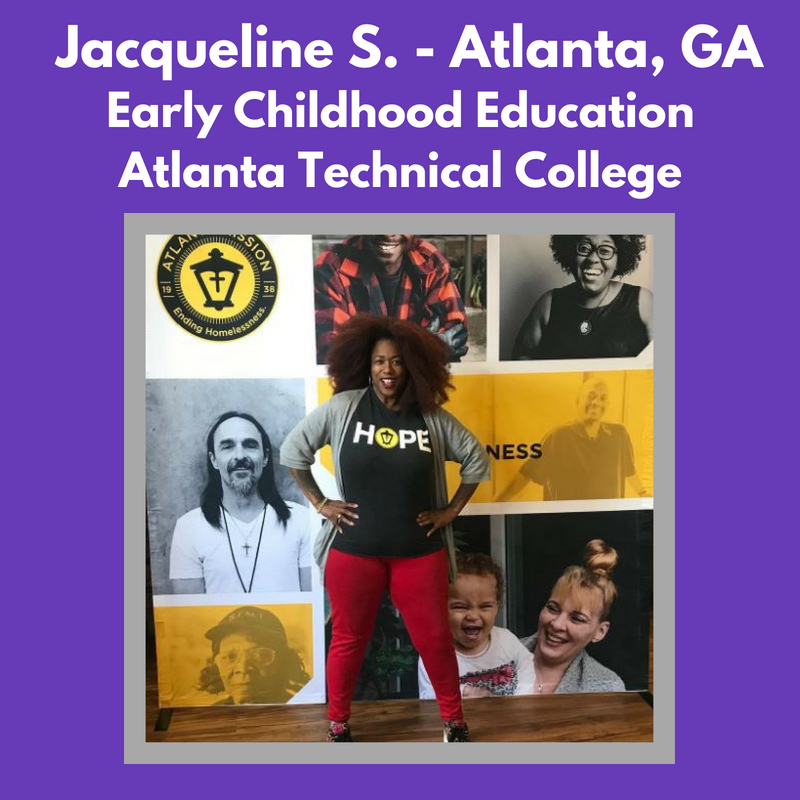 Jacqueline is now the Manager of School and Outreach Programs for the Atlanta Children’s Museum! “Because of your generosity something happens to women and to families. Something beautiful and remarkable. Not in just my life, but in many lives! I want to say thank you because I never would have gotten the confidence or dreamed as big as I have dreamed without JRF. This is my blessing. I appreciate you, I appreciate your dedication to me and my JRF Sisters!”- Jacqueline S.
Meet Maritza! 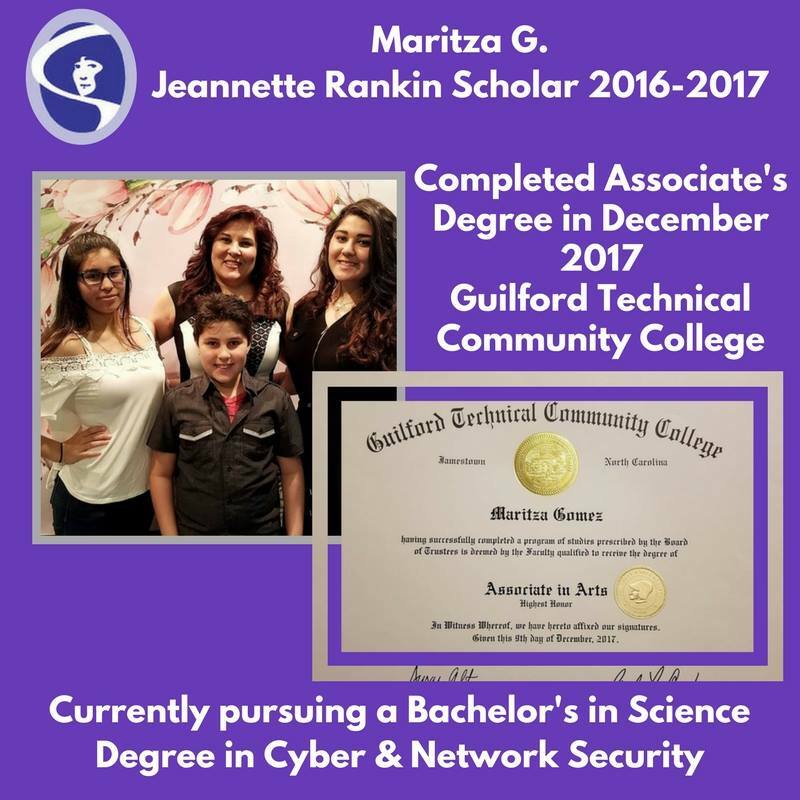 Martiza is a first generation Cuban-American and is excited to finally be on the road to receiving the college degree she has always dreamed of. So here she is, 30 years later setting an example for her children that "education is the only hope for a successful future". "I took a 30 year detour on my journey to a college education, and now find myself a middle aged mom and wife. I truly appreciate how important an education is, something I clearly took for granted at the tender age of 18. As a result, I feel a deep desire to set an example for women, Latinos and especially moms who like myself, for whatever reason were unable to finish their degrees and now find themselves later in life thinking they can’t go back and they’re “stuck”. I want to inspire them that if I can do this at 47, ANYONE can! Meet Tina! 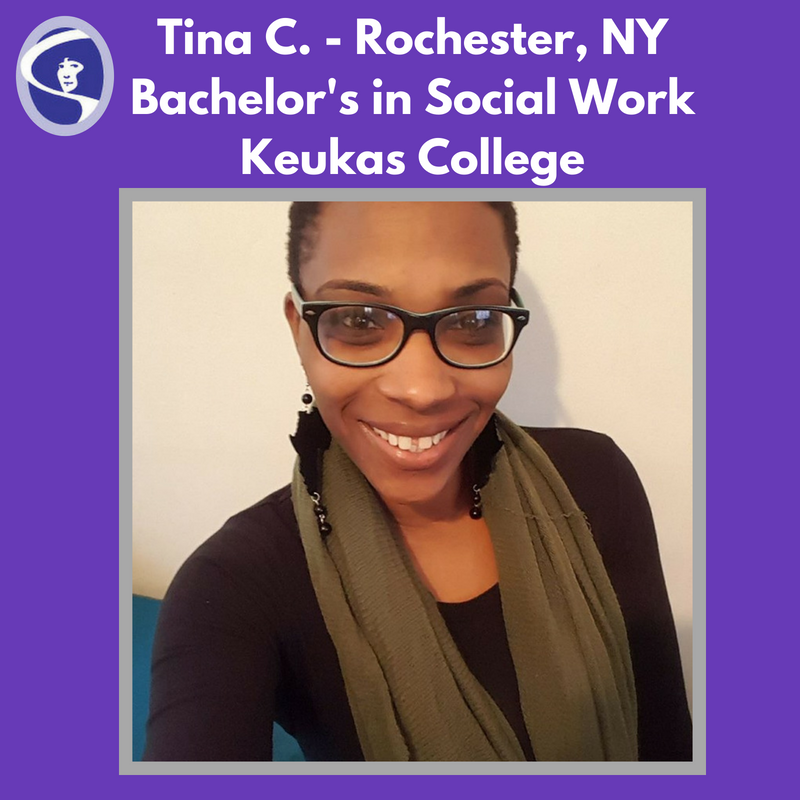 In 2007, Tina decided to enroll in a community college for a Human Services degree. During that time of her life, Tina found herself pregnant, afraid, alone, and living in a domestic violence shelter. Nevertheless, Tina graduated with her Associate’s in 2009. She has continued on toward her Bachelor’s and hopes to work with women infected with HIV/AIDS as a social worker. She also wants to go on to get her Licensed Masters in Social Work! Tina was the only one of her family to receive her high school degree and has already come so far from where she once was. While jugging life as a single-mom and going back to school, Tina started her own non-profit in 2016, Southern Charm Charities, a community outreach agency aimed at coordinating youth and volunteer programs. Meet Ilona! 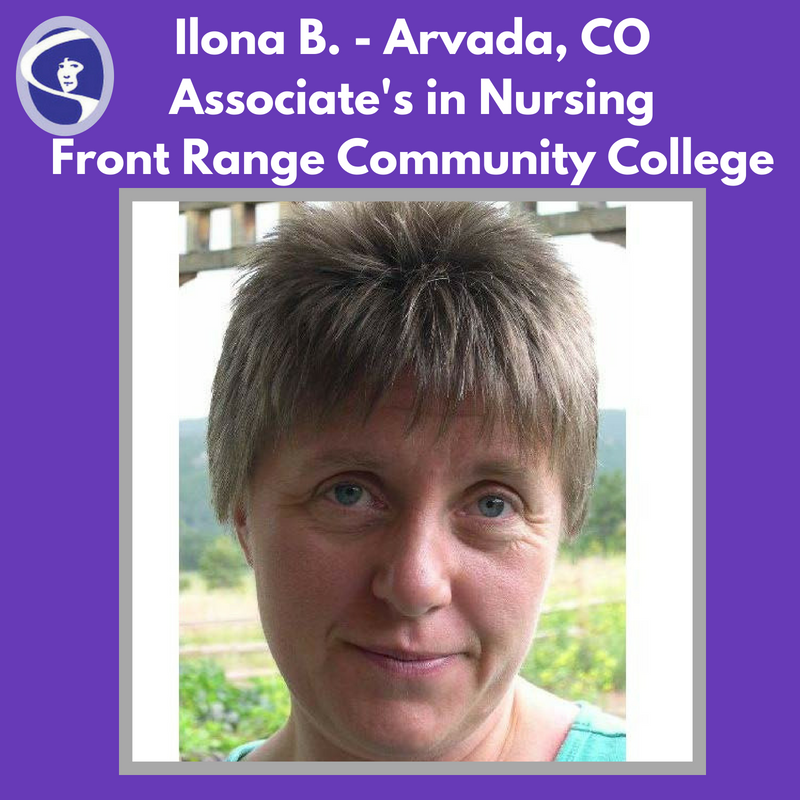 Ilona was a fully trained nurse when she lived in Poland, but her move to the U.S. made it impossible for her to continue practicing without getting U.S. certified credentials. She took a step back from pursuing her dreams and education in order to raise her son and put him through college. Now, she is taking back the reins on her future and is working towards her degree in nursing.